Just a little of seven weeks ago, I'd signed up for my November run in the one of the northern country parks in Hong Kong's New Territories. This is a part of Hong Kong that I rarely venture but should do so more often. It's quiet and idyllic, and completely removed from the frenetic scenes of the city centre in the south. 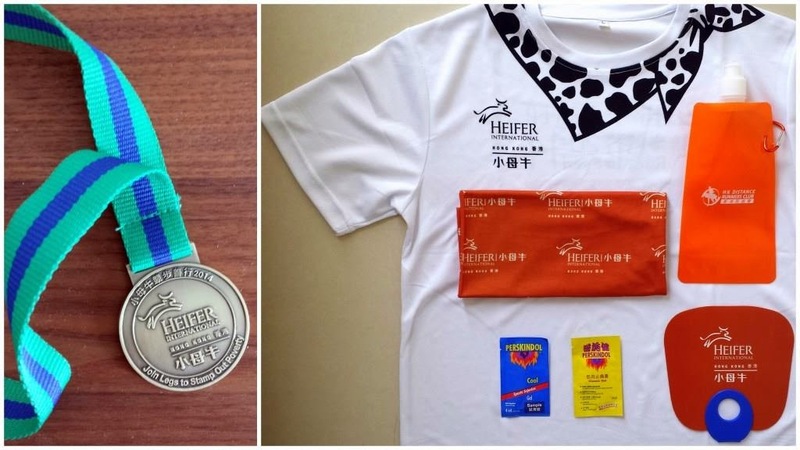 On the early morning of 2 November, I joined a few hundred fellow runners to cover 10km at the "Race to Feed” event which is Heifer Hong Kong’s annual fundraiser. 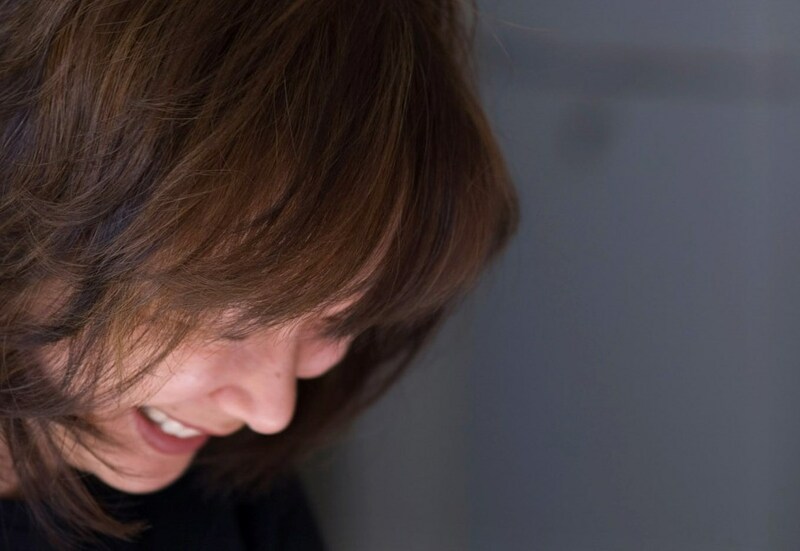 Since the first event in 2006, this Hong Kong chapter of the US-based organization has raised over HKD40 million (or USD5.1 million) to help thousands of poor farmers in rural China become self-reliant. 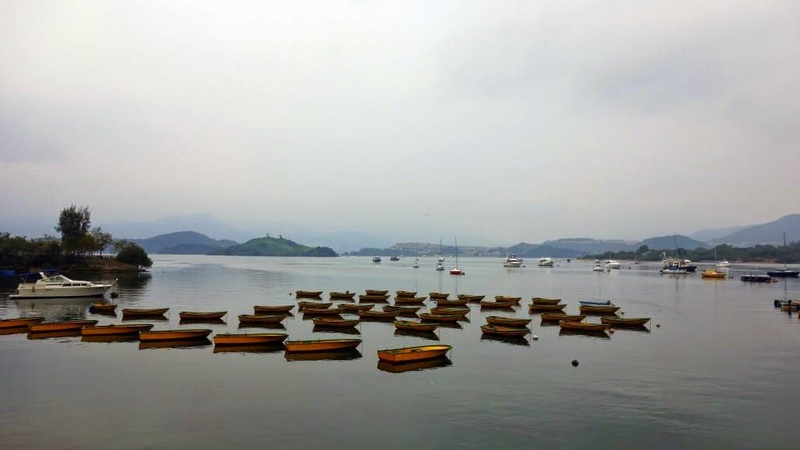 Stillness of the morning: Just a few hundred metres from the starting line at Lung Mei Beach. One of the nice (and very convenient) aspects of this race was that the organizers had arranged for shuttles from various points in Kowloon and Hong Kong up to the country park. That reduced the number of cars converging at this small area (not to mention time spent getting lost in the back roads) and was totally in keeping with the organizers' laudable environmental protection theme this year. 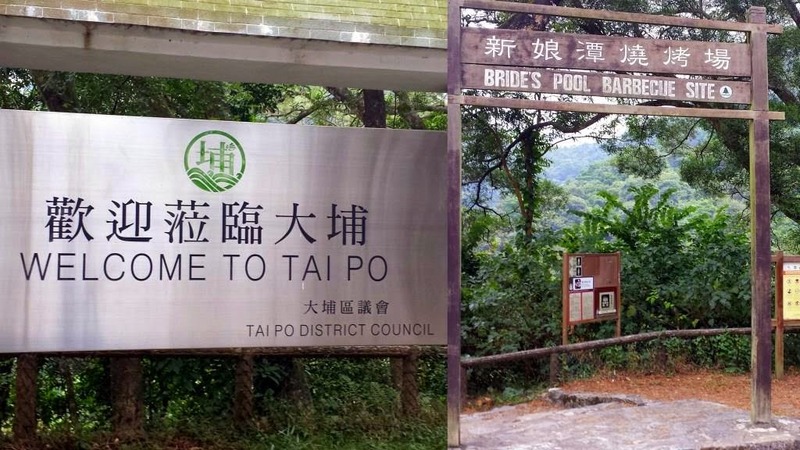 The course started at Bradbury Jockey Club Youth Hostel and took us 800m along the Tai Mei Tuk Road, after which we made a sharp right and proceeded along Bride’s Pool Road to the Lion Pavilion at Chung Mei. The turnaround point was just short of the famed Bride's Pool waterfall (a pity we missed it!) There were relatively steep hills throughout the first 5km of the course but the good news was that steep hills turn to downhill descents so I got to shave a few minutes off my run time and made it my personal best finish ever. By the way, the calf in the photo above with me is a 3-D cutout. I was "lucky" enough to get a solo shot prior to the race as that was one popular (and photogenic) cardboard calf that had scores of racers, their supporters and even local TV celebrities lining up to get their own snaps later in the morning. Go figure. 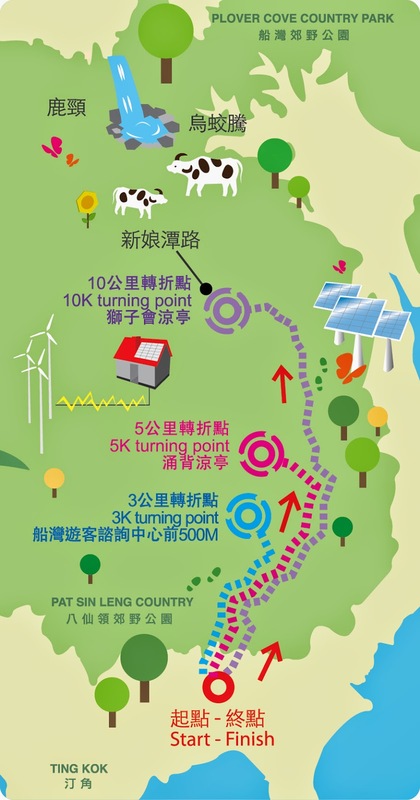 As seen at around the 1km mark heading into the Pat Sin Leng Country Park. This was at the around the 5km turnaround mark. 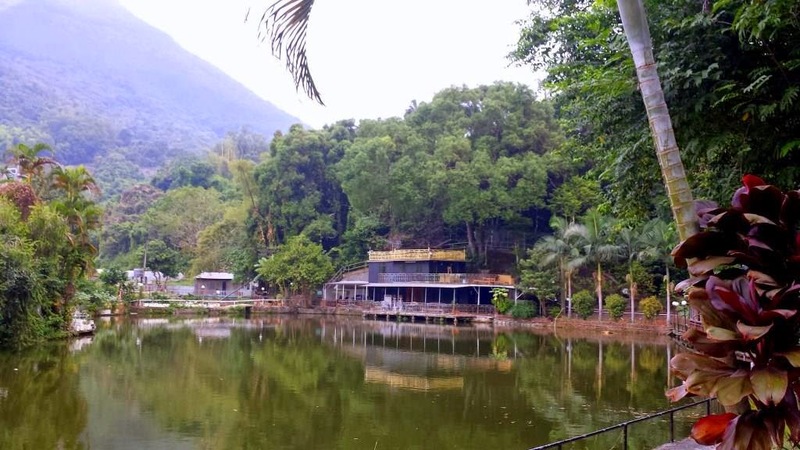 This park is dotted with barbeque sites every few hundred metres, some of which have a direct view of the pretty Plover Cove Reservoir. 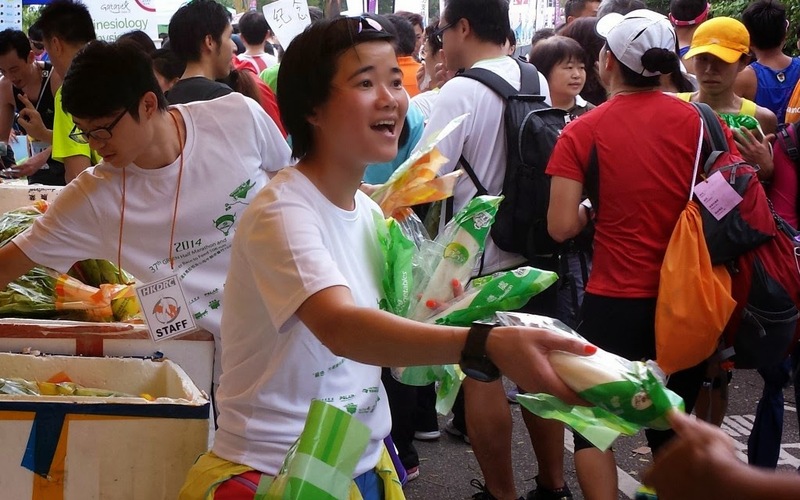 A total first but I guess it's totally in keeping with the eco-friendly vibe of the race: a volunteer handing our free packets of organic, locally-grown vegetables to racers after crossing the finish line. My medal and my swag. The little fan at the bottom right corner is a nice touch. As were the foldable water bottle, buff and Perskindol therapeutic gels. 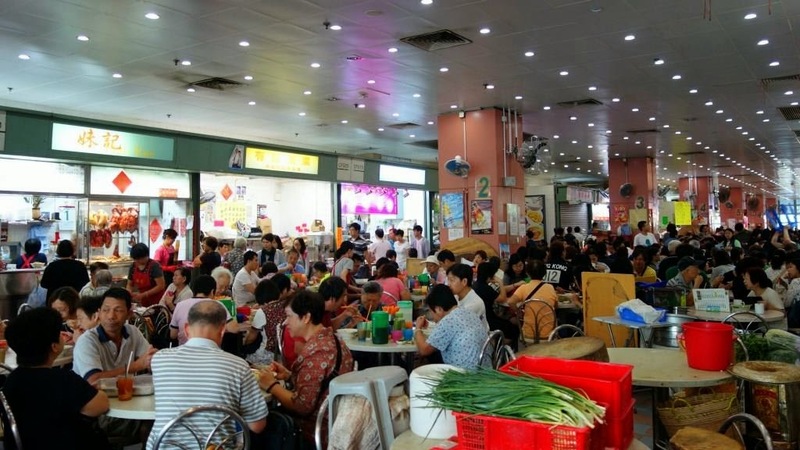 Lunching post-race at this packed food centre in neighbouring Tai Po Hui Cooked Food Centre (named one of Hong Kong's top 10 food centres) was an overwhelming experience. This is the manic scene at just 10.30 a.m. - can't imagine what the lunch hour will look like. 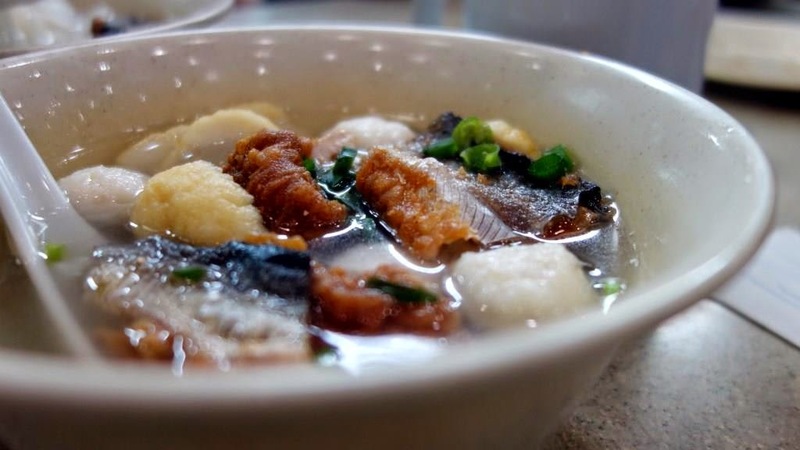 Had to wait 30 minutes for this hearty bowl of vermicelli in soup with fishballs and deep fried fish skins. 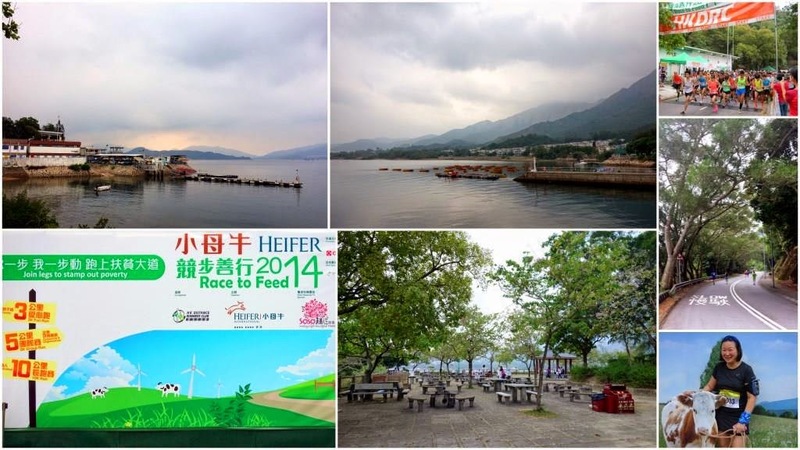 Next race on 14 December 2014: AVOHK Reservoir 15km Race at Tai Lam Chung, Hong Kong.